Selected to represent Armenia at BBC Cardiff Singer of the World 2017, Winner of First and Public Prizes, as well as a test Deutsche Grammophon recording contract, at the 2016 Stella Maris Competition, of one of the three prizes, a recital at the 2018 Gstaad Music Festival, at the 2016 Concours international de Bel Canto Vincenzo Bellini. 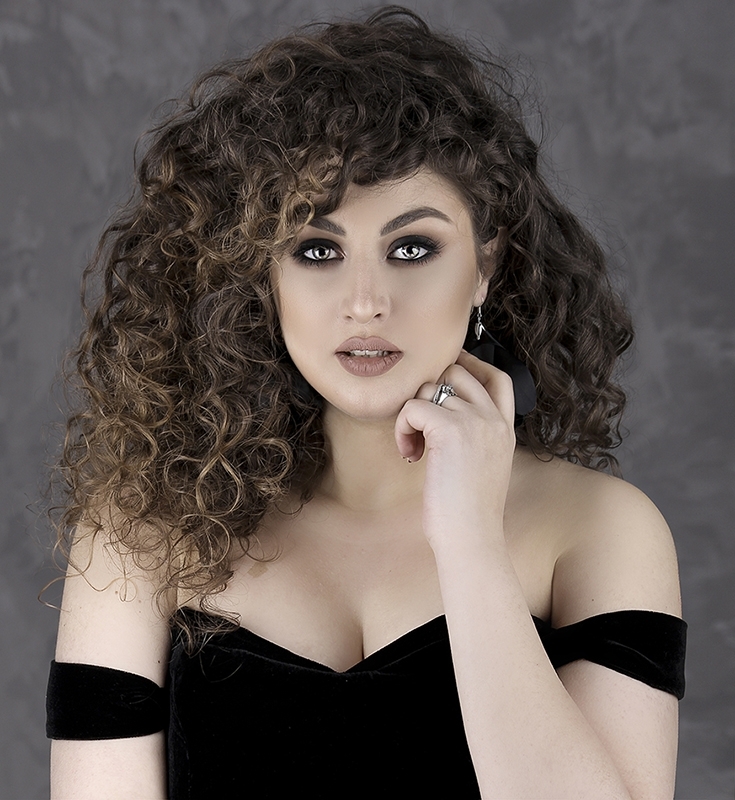 and of the 2014 Concours Suisse Ernst Haefliger Competition, Armenian soprano Anush Hovhannisyan was a member of the Jette Parker Young Artists Programme 2013-2015. In addition to appearing in a variety of roles on the main stage, she also sang the soprano solos in Gloria for the Royal Ballet and Verdi Requiem for the Royal Opera House’s Learning and Participation department on tour in France. Since leaving the programme, she has sung Lady in Waiting Macbeth for the Royal Opera’s 2015 tour to Japan. Her wider engagements have included Sitâ Le Roi de Lahore for Chelsea Opera Group, Donna Elvira Don Giovanni at the Teatro Verdi, Trieste, and Anitra Peer Gynt with the Philharmonia Orchestra. Her recordings include A Century of Song, Vol. 2 for Vivat and Songs by Scriabin for Decca’s complete piano anthology of his music. Conductors with whom she has worked include Renato Balsadonna, Semyon Bychkov, Gianluigi Gelmetti, Nicola Luisotti, Daniel Oren, Antonio Pappano, Esa-Pekka Salonen and Mark Wigglesworth. Current engagements include Adina L’elisir d’amore at the New Generation Festival, Florence, the title role in Maria Stuarda at the Stadttheater Klagenfurt, Emma Khovanschina with the BBC Symphony Orchestra at the 2017 BBC Proms, Shostakovich Symphony No. 14 and an Opera Gala with the Southbank Sinfonia, Verdi Requiem at City Halls, Glasgow, the opening of the 2017 Al Bustan Festival and Woolf Works with the Royal Ballet. She will make her debut with Scottish Opera in 2017 / 2018 as Violetta La traviata.